Edward Higginbottom’s early years were marked by distinction as a keyboard player. He gained his Fellowship of the Royal College of Organists before leaving school, winning the Harding and Read prizes for the most outstanding candidate of the year. A long association with Corpus Christi College Cambridge followed, beginning with an organ scholarship (winning the John Stewart of Rannoch university prize in Sacred Music), continuing with graduate work and a doctoral thesis on French baroque music, and ending with a research fellowship (1973-76). While at Cambridge, he gained recognition at home and abroad as director of the Cambridge University Purcell Society, one of the very first English early music groups to perform regularly in France. Graduate work in Paris from 1970 to 1972 deepened his contacts abroad as he studied organ with Marie-Claire Alain while writing his doctoral thesis. His love of French culture has borne fruit in editions of François Couperin’s chamber music, many recording projects featuring French music, and frequent invitations for New College Choir to sing in Europe and further afield. He is sought after as president of international music competitions, and as a consultant. The French Ministry of Culture recently appointed him ‘Commandeur de l’Ordre des Arts et des Lettres’ in recognition of his role in the revival of choir schools in France. 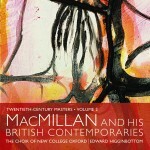 Edward Higginbottom was appointed Director of Music at New College in 1976 at the unusually young age of 29. His work at Oxford is divided between New College Choir and the Faculty of Music where he teaches performance practice alongside other specialisms. 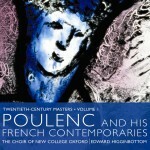 He also publishes within the areas of his expertise, recently contributing chapters to the Cambridge Companion to the Organ, and entries on French music to The New Grove Dictionary of Music. 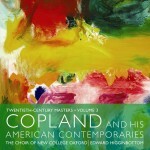 He brings to the work of New College Choir an extensive knowledge of choral repertory and performance styles. Under his direction, the Choir has achieved international recognition and has brought choral music of high quality to an increasingly wide-ranging public through more than 70 recordings and many concerts in this country and abroad. The Choir has become renowned for its interpretations of Renaissance and Baroque music, and latterly for its choral compilation recordings encompassing music from folk-song to Tavener and Pärt. 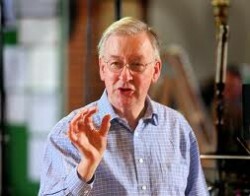 Indeed, one of Edward Higginbottom’s objectives has been for the Choir to sing a particularly wide range of music, in the conviction that music-making is revitalised by the challenges of an eclectic repertory.